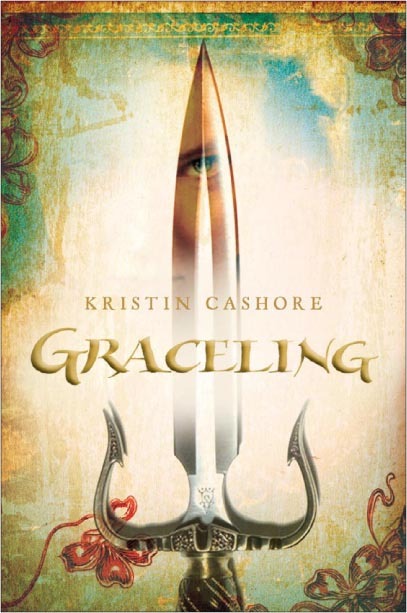 FAQ: How would you respond to an interpretation of Graceling that reads Katsa and Po's relationship as abusive? I think that every reaction to a book is genuine, and every interpretation that can be supported by the text is valid. People read the same book and come to different conclusions; no one has a claim to some sort of absolute truth about a book. What I hope is that if someone who doesn't interpret the relationship as abusive encounters someone who does, the person who doesn't will listen to the person who does, rather than dismissing their interpretation without thought, or trying to shut them down. In my wanderings through all parts of the Internet, I see way too many people shutting down other people's concerns, rather than pausing to think, "Hmm, does that person maybe have a point? Could their interpretation be valid, even if it's not my interpretation?" Taste and interpretation truly are subjective; too many people don't allow for that. In fact, I think this could lead to some really interesting conversations. Now I'm going to be a devil's advocate. What if we decided to assume, just to see where it takes the conversation, that it is an abusive relationship? What does that mean? Who's the abuser? 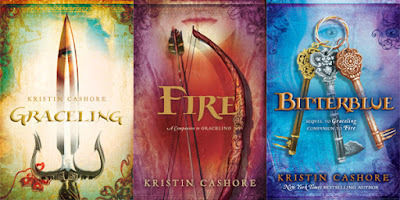 What would it say about the characters, their relationship, their mental health, their future, or the overall feeling of the book? What other questions can we ask? What I love about a conversation like this is that it expands our ways of thinking about and interacting with books. It makes us see new things, and it also tests the soundness of our initial reactions and feelings (and sometimes strengthens them -- or creates cracks in them). Sometimes, it helps us hold contradicting opinions at the same time. It adds complexity and multiplies possibilities. I think that's a good thing. Of course I'm interested and concerned when I hear an interpretation like this (and trust me, I have heard many conflicting interpretations, about both books, including this one. When I say interpretation is subjective, I do so from an EXCELLENT position for observation!). So I would add to the above that my response is to think about it a lot, maybe talk to a couple friends, and, whether or not I find that I agree, add it to the huge list -- or maybe it's more of a web -- of thoughts, feelings, and dynamics that I try to keep in mind while writing the next book. Thanks to Deborah and Marc for helping me formulate my thoughts for this post.